The features that made Ovation famous at a great price! Ovation's award-winning multi-soundhole technology is now incorporated into the Applause AE148. 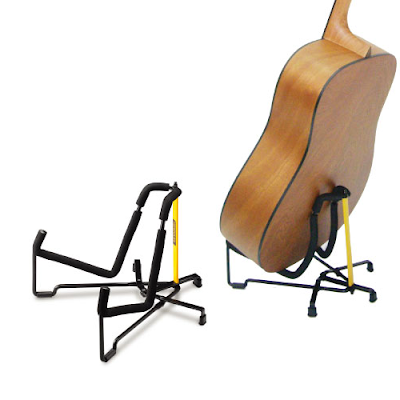 Its full, balanced sound is pumped out through the calibrated spruce top and fine-tuned bracing. The Lyrachord body allows for the back of the guitar to be free of reinforcements that can inhibit sound projection. A slim contoured neck allows for fast and effortless playing that suits any style from finger picking to power chords. Ovation's Slimline pickup captures true acoustic tone and delivers a powerful signal with plenty of headroom to combat feedback in high-volume conditions. The OP-4B active preamp has a gain knob; a battery LED; plus independent bass, mid, and treble EQ sliders. BRED FOR SHRED - Riffs will flow freely and effortlessly from your fingertips with Washburn's new XM Series of guitars. 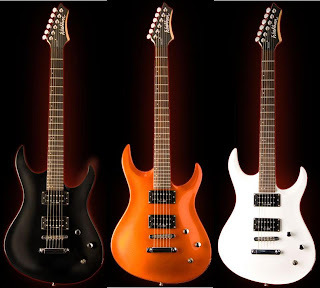 Featuring a sleek double cutaway, premium Poplar, Basswood or Mahogany bodies, Rosewood or Ebony fingerboards, and Seymour Duncan pick-ups, these guitars are the instruments you need to become the ultimate shred machine. 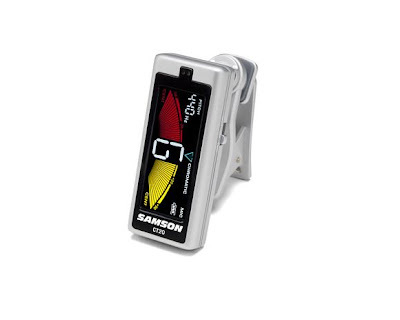 Samson’s CT20 Clip-On Tuner combines precision tuning capabilities with a hands-free design that makes accurately tuning guitars, basses, stringed, woodwind or brass instruments easier than ever. 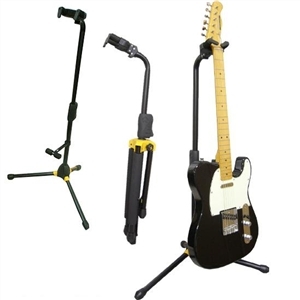 The CT20 attaches securely to the headstock of your guitar or bass, as well as a variety of other stringed and wind instruments, for hands-free tuning. 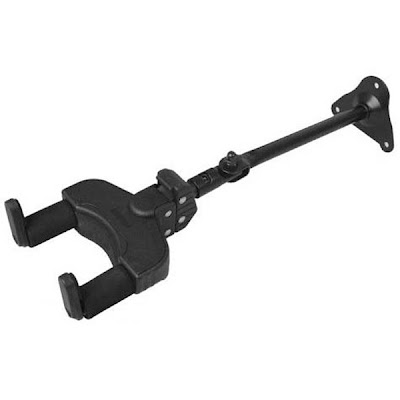 A dual 360° ball-jointed clip stems from the rear of the tuner, allowing you to view the display at any angle. 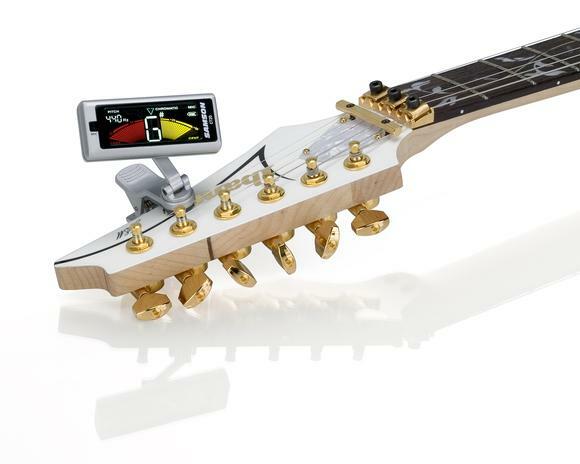 In addition, the tuner’s design includes a large, full color LCD display for quick tuning in any lighting environment. Whether you’re in a well-lit studio or on a dark stage, the CT20’s display brings vibrant colorization that makes all of the tuner’s functions beautiful and easy-to-read. With the goal of keeping your instruments sounding performance-ready at all times, the CT20 is packed with comprehensive tuning capabilities. It allows a wide range of calibration from A 410 to 490Hz, while its smooth, real-time display provides precise and accurate tuning. The unit offers chromatic, guitar and bass tuning modes, as well as a built-in mic for tuning your instruments via audible sound and a piezo (clip-on) sensor that calibrates by vibration. The CT20 also features a flat/drop tuning/transposition setting that allows you to easily tune down your instrument. Powered by an included single CR2032 battery, the CT20 provides two operating modes for maximizing battery life. After 10 seconds of inactivity, the tuner automatically enters an energy-saving mode that dims the display without shutting off the tuner. After 5 minutes, the unit will power off completely. Samson’s CT20 Clip-On Tuner’s compact design helps to make it the ultimate tuning accessory that every musician will want in their gig bag. 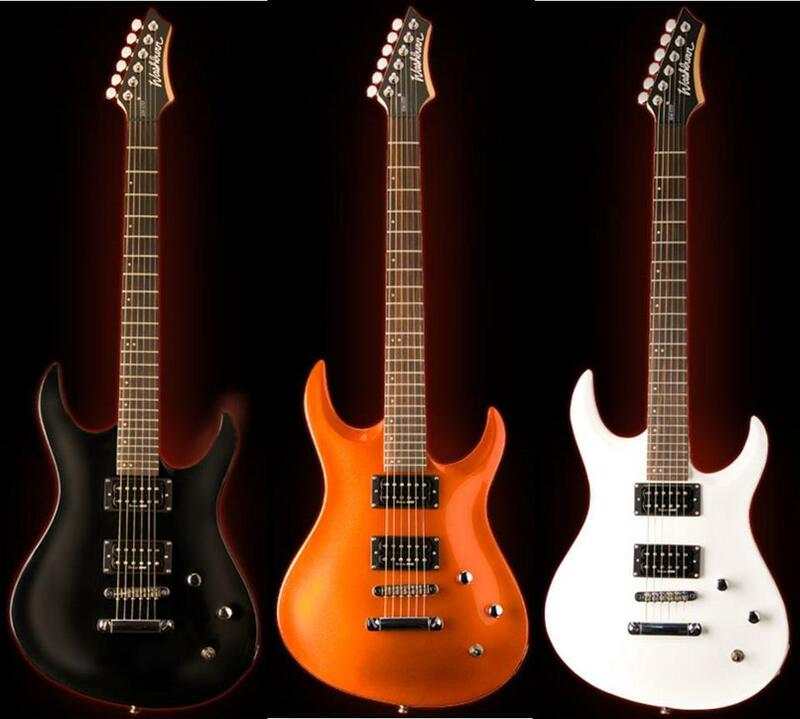 Classic Jackson speed, sound and high performance in a model that was one of the original Jackson innovations. Two high-output Jackson CVR2 humbucking pickups, reverse headstock, string-through body design and JT390 adjustable bridge. Stunning stompbox tones, old-school simplicity and tank-tough construction that will fit in your gig bag. 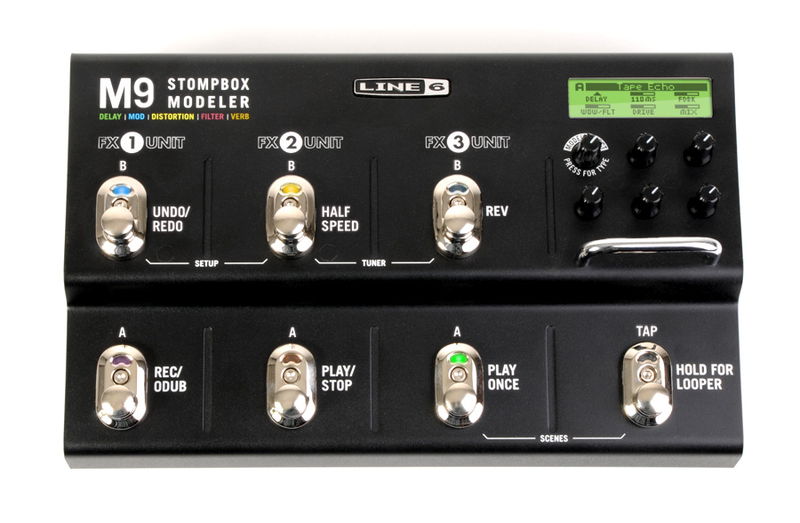 M9 Stompbox Modeler is powerful, portable and bursting with immortal stompbox effects. Its wide variety of vintage and modern tones makes it perfect on its own or an unrivalled addition to your pedal board. Sink your teeth into over 100 distinctive distortions, tangy choruses, syrupy sweet reverbs, and many other kinds of expressive effects. They combine under your feet to form an instant collection of stunning stompbox tones (many of which are from DL4™ Delay Modeler, Verbzilla® and other well-known Line 6 pedals). Built like three side-by-side effect units, M9 Stompbox Modeler lets you run any three effects simultaneously with any three others on deck. Mix and match as you please. You have 100% control over effect placement and effect type - arrange them into tried-and-true combinations or get creative and invent your own original blends. Create up to twenty-four different effect arrangements, or "scenes" – one for your metal band, one for your Top 40 gig...you get the picture. No more tearing up Velcro® just to switch out one or two pedals! Included is a 28-second looper that provides the most fun you can have without getting arrested. 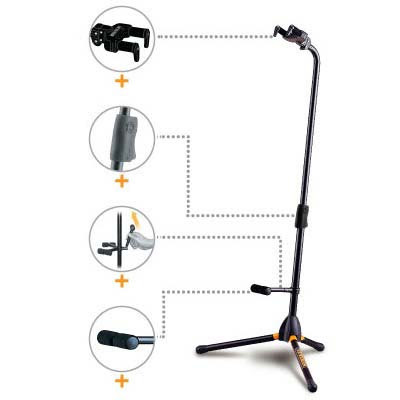 It delivers extended, in-the-moment sound-on-sound looping and unlimited sonic possibilities. Six dedicated footswitches (Record/Overdub, Play/Stop, Play Once, Undo/Redo, Half Speed and Reverse) make it a snap to use. 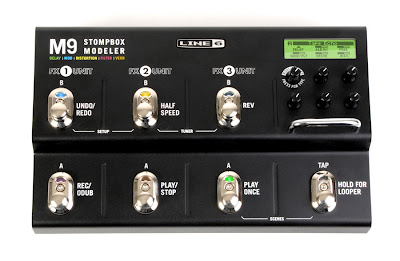 M9 Stompbox Modeler is stompbox simple. There are no menus, no saving and no hassles. Tweak your tones on the fly using the dedicated knobs and, just like with classic stompboxes, your settings will remain after you power down. Stocked with inputs and outputs, M9 Stompbox Modeler will integrate seamlessly into your pedal board, your MIDI setup and all your live, studio and rehearsal scenarios. 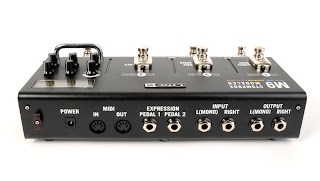 It boasts MIDI in and out, a pair of 1/4-inch expression pedal inputs and 1/4-inch mono/stereo inputs and outputs (with true analog bypass or DSP bypass). Tough as nails, easy to use and ready to go, toss M9 Stompbox Modeler into your gig bag to take advantage of the all-in-one stompbox solution. Clear natural sound and the power to perform. 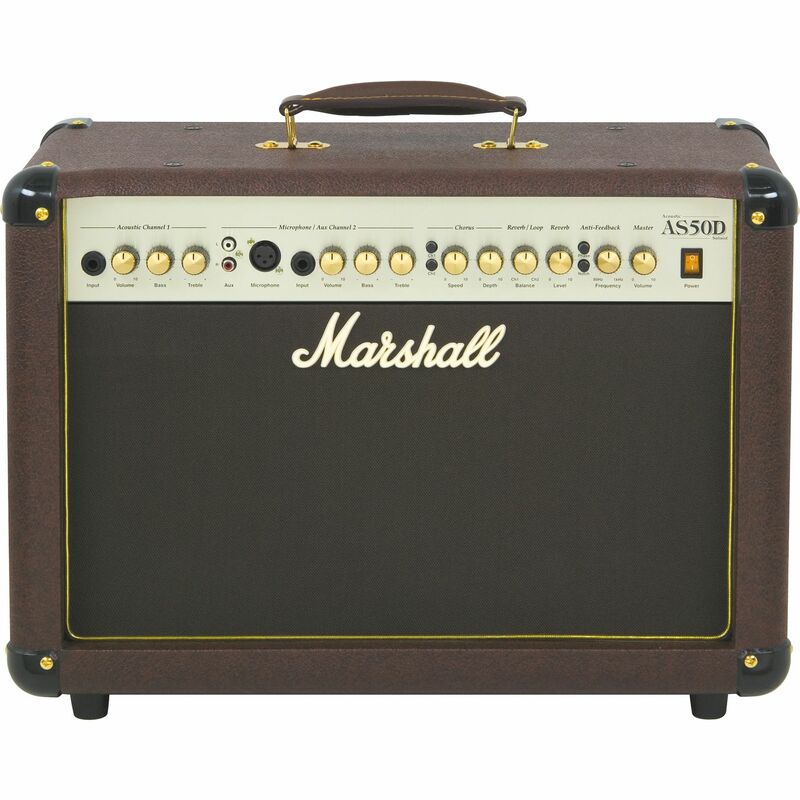 This Marshall AS100D Acoustic Combo Amp is the one to have. Specially designed for use with a variety of acoustic instruments with or without pickups. Its four channels give you the flexibility to handle piezo transducers or magnetic pickups, a mic for vocals or instruments, and external audio equipment via a phono input channel. Channels 1 and 2 have separate EQ and level controls but also may be linked. 2x50W stereo power gives you plenty of oomph for stage performance, and a balanced line out allows direct connection to a PA. The Marshall amp has a built-in digital reverb, delay, and chorus that add dimension to your sound, and a balanced parallel effects loop with level is included. Anti-feedback controls include a phase switch and notch filters for each channel with selectable extra notch depth for channels 1 and 2. 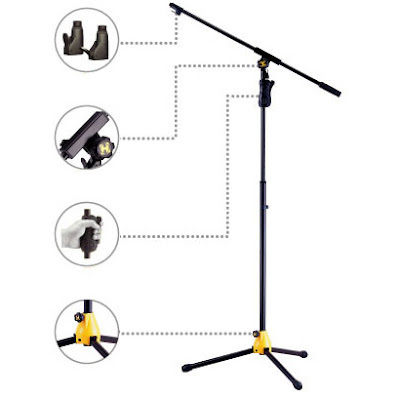 Bring your acoustic performance to a higher level with the AS100D. 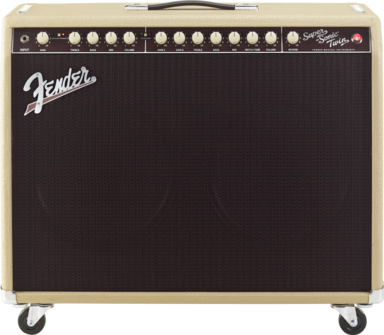 The Super-Sonic series: High-performance, no-nonsense tube amps that create unmistakable Fender clean tones and expressive modern high-gain tones without masking the tonal character of the player’s guitar. 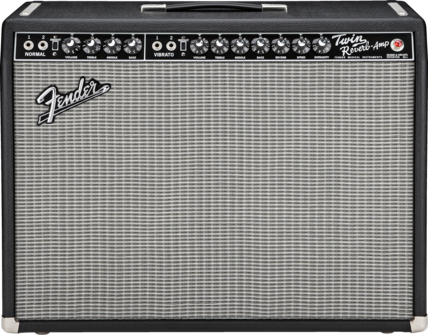 The new 100-watt Super-Sonic Twin combo contains several sonically versatile new features, including an Arena/Club switch that takes the power down to 25 watts (to preserve its great high-volume tube tone at lower “club gig” volume levels); a Notch Tune control that lets you move the midrange notch and fine-tune the distortion characteristics for a variety of American and British amp sounds; a rear-panel damping control that lets you select “normal,” “loose” or “tight” speaker response for sounds ranging from warm and loose to tight and focused; and the new Fender Automatic Bias control, which lets you easily set the output tubes to the recommended factory setting and to your preference of “hotter” or “cooler” bias with no need for meters or tools. Other features include a Vintage channel for shimmering clean tone derived from Fender Twin Reverb® and Showman® amps or the thick, punchy sound of a 1960s-era Bassman amp®; a Burn channel for edgy breakup and distortion with variable compression, thickness and sustain; dual 12” Celestion® Vintage 30 speakers; tube-driven Fender long-spring reverb; effects loop with level control that also works as a footswitch-operated boost; custom Schumacher transformers; and a choice of Black/Silver or Blonde/Oxblood cosmetic treatments. 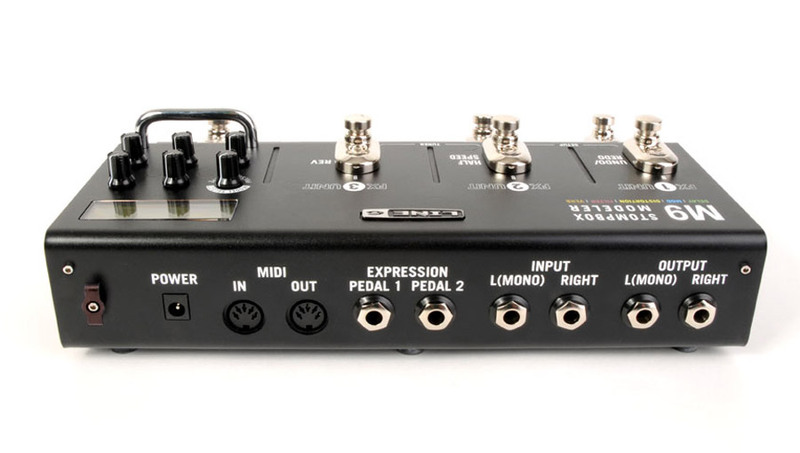 Cover and pedalboard-friendly four-button footswitch included. 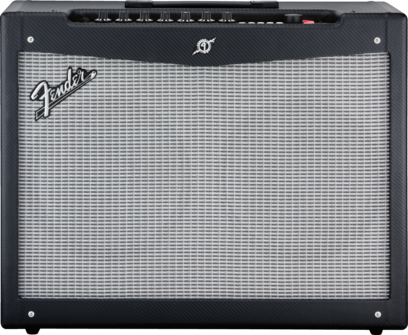 The new Fender Mustang amplifier series raises the standard for modern guitar versatility and muscle. Driven by incredibly authentic amp models and a huge bank of built-in effects, Mustang amplifiers come equipped with USB connectivity and Fender FUSE™ software, allowing your musical creativity and imagination to run wild. Mustang IV is a 150-watt open-back combo with two 12” Celestion® speakers that sound great and pump serious volume. It contains 100 amp presets derived from 12 different amp models that deliver tones from vintage Fender sparkle to outrageous modern metal distortion, and 37 different effects in four categories (stomp, modulation, delay and reverb), all easily and instantly accessed. It’s great for rehearsing, jamming and larger gigs, and the 1/8” headphone jack doubles as speaker-emulated line out. Further, connect Mustang IV to your computer with free Fender FUSE™ software. Open up a world of possibilities, including on-screen parameter control, deep editing, additional effects, unlimited preset storage, online preset swapping with the Fender FUSE™ community, and free Fender artist presets. 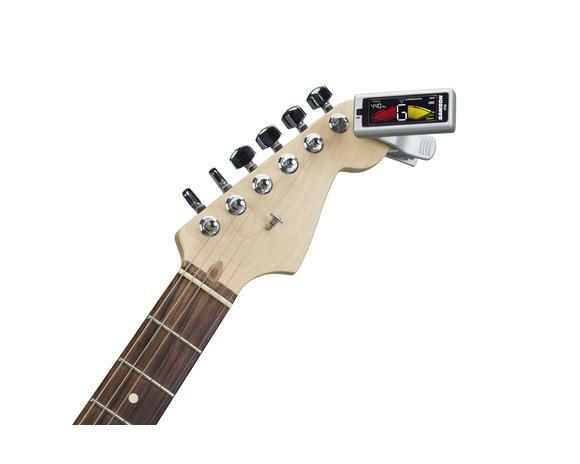 Mustang IV’s included four-button footswitch controls quick access, preset/bank select, effects on/off and tuner (optional programmable two-button footswitch also available). Mustang IV packs it all into a striking visual design with sleek and modern Fender styling that provides a look that’s as desirable as the sound. 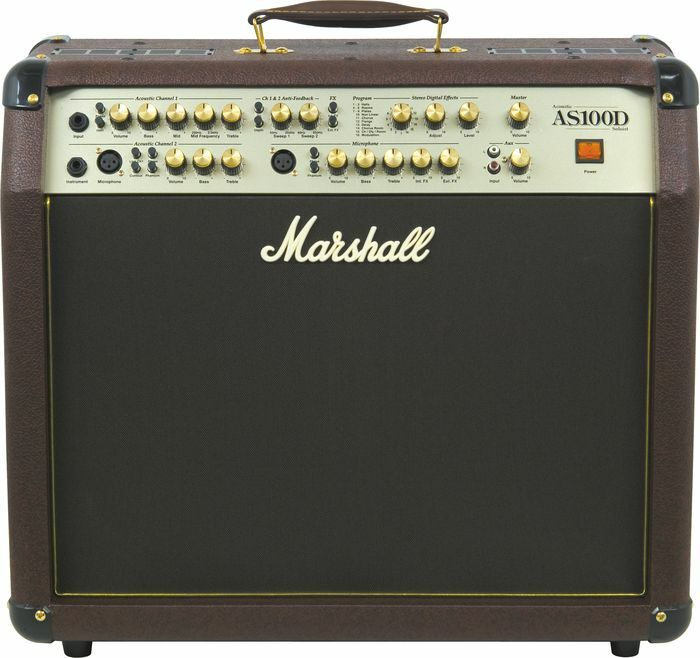 Unique Features: Guitar amp with all-new DSP platform, all new high-quality amp models and effects; 100 onboard factory and user presets; headphone output and auxiliary input; chromatic tuner; “Millennium Blackface” treatment includes carbon tweed covering and new top-loaded front control panel; USB connectivity for high-quality, low-latency audio output and interface with free Fender® FUSE™ PC application; Fender FUSE application offers on-screen parameter control, deep editing, unlimited preset storage, online patch swapping and easy firmware upgrades; Fender FUSE community includes chat forums, preset trading, and additional content from Fender and artists; includes disc with Ableton® Live Lite Fender edition, AmpliTube® Fender LE edition and other extras, making Mustang a one-stop solution for guitarists new to digital recording. FootSwitch: Included 4-Button Footswitch (P/N 008-0996-000) for Quick Access, Preset/Bank Select, Or Effects On/Off, and Tuner; Optional Programmable 2 Button Footswitch (P/N 008-0997-000) available.